Is Imran set to win the biggest match of his political innings? As a cricketer, former Pakistan all-rounder and captain Imran's Khan crowning glory came in 1992 when he led his country to a World Cup victory in Australia. 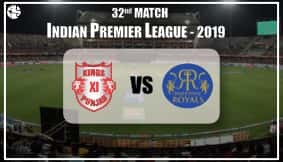 The cricketer-turned-politician is also one among the only eight cricketers in the world to have achieved the all-rounder's double scoring 3807 runs and taking 362 wickets in Test cricket. As controversial as charismatic, even in his hey days, he gave the world a glimpse of his political aspirations immediately on arrival from Australia with the team, holding the World Cup aloft. It was widely reported then that he told the rapturous crowd that greeted them, ? ?This is only a World Cup, and you are celebrating as if we have won Kashmir.?? After that World Cup victory, Imran soon retired as a cricketer and formed his own political party, the Pakistan Tehreek-e-Insaaf (Movement for Justice) party in 1996. In the same year, after his mother succumbed to cancer, he raised funds to help establish the Shaukat Khanum Memorial Cancer Hospital and Research Centre. For many years he tried to rally the Pakistan population to support his party, but drew less than spectacular crowds. However, the recent turmoil and confusion in the political ranks seem to have turned the tide in his favour. As people begin to see him as the the new messiah who will 'save Pakistan' , they are beginning to turn out in large numbers at his rallies. In October, a rally in Lahore drew at least 100,000 supporters. He is now not only topping opinion polls but even powerful and established political figures have begun defecting to his party. His party has never won a seat, except his own in 2002, since it was formed, but now with the general elections in Pakistan scheduled to be held next year, in 2013, with the new-found support, can he aspire to become the prime minister? Ganesha finds out with the help of Vedic astrology. In Imran Khan's chart, the Lord of 7th House and 10th House Mercury becomes very powerful by being exalted and Vargottama. 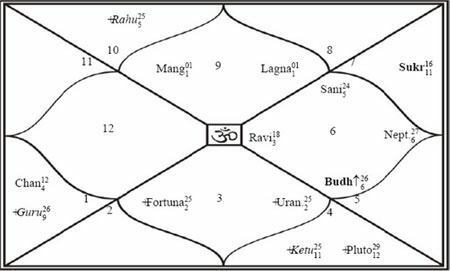 Sun, the Lord of 9th House (House of fortune) is digbali and strong in 10th House of power. The conjunction of 10th House Lord and 9th House Lord in the 10th House is a powerful Rajayoga. Lord of 5th House Mars is strong in the Ascendant. The Lord of Ascendant and 5th House are in exchange forming Rajayoga. Such a powerful chart confers name, fame and success in public life. It also signifies his strong character and great leadership quality. Imran Khan's Tehreek-e-Insaaf Party was not taken too seriously in its early years. But his political popularity is rising rapidly in Pakistan although his party has no representation in Pakistan's Parliament. He is considered as one of the most influential and charismatic political leaders in Pakistan. He is currently under the influence of Rahu dasha and Moon Bhukti. Rahu is placed in the second House in the sign of Saturn, the planet of democracy. Saturn is involved in Rajayoga as well. The transiting Jupiter is passing through the 5th House over the natal Moon and Jupiter. But the problem area for him is Moon Bhukti. Moon is the Lord of 8th House in his chart. The 8th Lord Moon is afflicting the 5th House (House of ministership). Fourth House (House of parliamentary seat) is strong in his chart but the weak 5th House may hamper his progress. Imran will attract the common people of Pakistan and enjoy support from the influential sections of Pakistan politics. 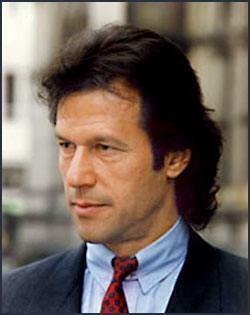 He will become a serious contender for becoming Pakistan's next prime minister in the 2013 elections. His mass following will increase regardless of his political credentials. So the period is very promising for him. However, the period till 23rd February 2013 looks very challenging for him. Imran will have to face stiff resistance from Pakistan Peoples Party (PPP) and Pakistan Muslim League. His aggressive campaign will not give him the desired level of success which is expected from him. His chart has not enough potential to become the "Prime Minister" of Pakistan. He may only become a Cabinet Minister or play an important role in the post-election alliance. He is running Moon Bhukti and Moon is placed in the star of Ketu which is in the 8th House. The transiting Rahu is passing through the 12th House. So he must not take any health related complications for granted and must avoid taking risks with his life. He may have to undergo humiliation and defamation as his enemies or ill-wishers may conspire against him. All in all, Imran Khan is passing through a very important phase of his political career.